It is another great book in a great series. It will inspire the imagination in many new ways. This book is the second book in this series that we have read. 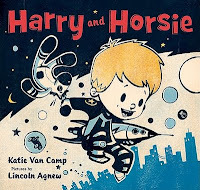 They are great books that children will love to have read to them again and again, and they will love playing with as they use the hand puppets. My 5 year-old can read it to the younger children, and the younger children love the finger puppets. It is amazing that the 6 pages in the little board book can be read so often and yet still be asked for so often. 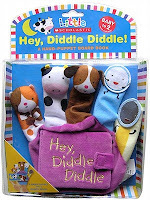 You use the finger puppets to point to the words and to the animals and items it is a great learning tool. Babies love the reflective spoon. This book grew out of the exhibit that ran at the Museum of the History of Science at the University of Oxford, UK. It features the art and creations from 17 different artists. 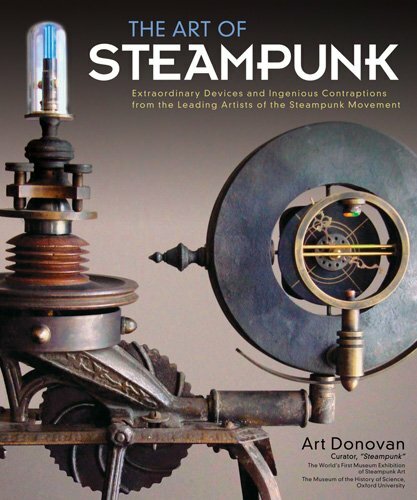 This book celebrates the variety, creativity and uniqueness of Steampunk. It brings to life creations from moves like The League of Extraordinary Gentlemen and from books by authors like Cassandra Clare, Arthur Slade and many more. 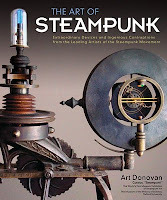 This book will be a great hit with fans of the Steampunk movies or books. It will also be a fun coffee table book and conversation starter. Full of original and unique art work, it brings science fiction to life with a Victorian twist. This book was amazing. 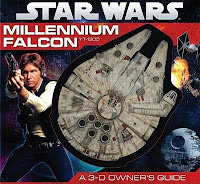 It is a schematic breakdown of the Falcon's systems and features, some in a sturdy board book style, cut out - each level of the ship is revealed as you flip the pages, and as you traverse the 21 pages of the books you find out about the features of this ship, and the upgrades Han and Chewy have done. Each page has technical specifications, facts and information, as well as operation tips and tricks, and Han Solo's personal notes. The book is fun just to flip through for the casual fan, and will be great for true fans, both boys and girls, to share with their children. Incredible details in the illustrations make this an excellent coffee table book, or for your children's bookshelf if you are willing to share. 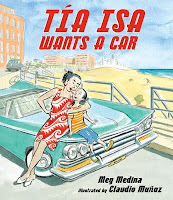 Tia Isa wants a new car, but with sending money home to her family each month it seems like just a dream. Her brother tells her it is ridiculous but her younger sister wants to help - sometimes dreams come true. The story is wonderful and the illustrations charming. It is a story of hopes, dreams and hard work. The story written from family history is a wonderful tale. 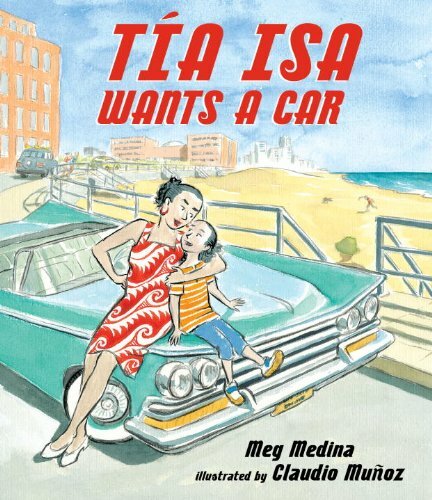 Great fun for readers of all ages. 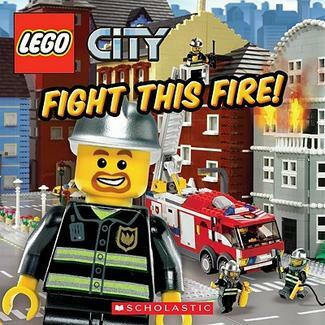 The Lego City Fire Department has a new recruit, and this rookie seems to miss the mark. 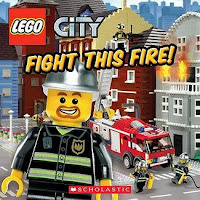 First he soaks the whole crew during a hose drill, then he knocks the captain and another fire fighter in the ocean while training on the water cannon, then he dumps the helo drop all over the captain. The Captain still wants to find something he is good at but is not sure what. Then, when they have a real emergency, the rookie has a chance to shine and boy does he. 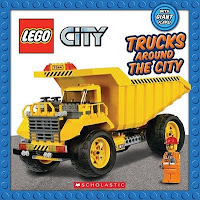 This 9th book in the Lego City series is another great addition. The second book by Steele and Primeau continues with their style of illustrating actual Lego vehicles and they use a great palette for the illustrations. 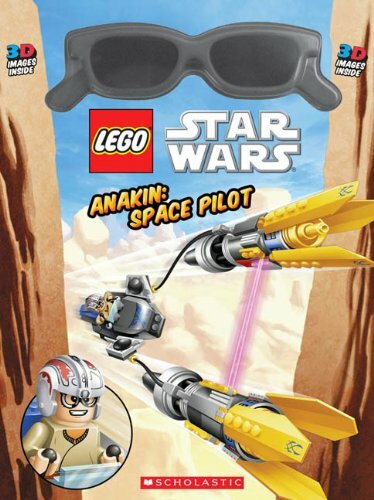 Also instead of just straight pictures with text boxes, they use a few different layouts and designs in this book. 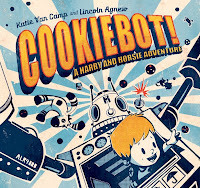 It is another great book in an awesome series for young readers.